I closed yesterday’s post by writing that our shopping trip to Bergerac on Saturday included a visit to a supermarket, where we bought veal shanks (for my rather tasty osso buco) and a variety of seafood. So I spent yesterday (Sunday) morning in the kitchen, preparing the osso buco first, because it’s best if it can rest in the refrigerator overnight and then be reheated. (Guess what we had for lunch today?) 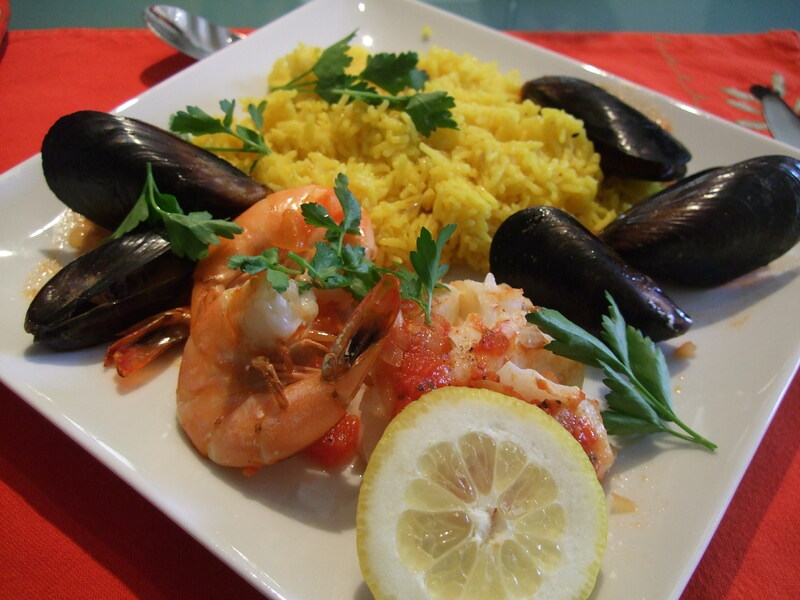 Then I turned my attention to the seafood, and wound up with a dish that I think is worth sharing. First I finely chopped a yellow onion, and sautéed it in some olive oil until it was soft. Then I added a couple of cloves of finely chopped garlic, and cooked the mixture a few minutes more (I’m always careful with garlic, because it burns so easily). Then I added a small can of chopped tomatoes with the juice, a glass of dry white wine, some salt and pepper, and a good shake of dried tarragon, because the licorice-like flavour of tarragon goes well with fish. I cooked this for several minutes, but didn’t let it thicken too much. 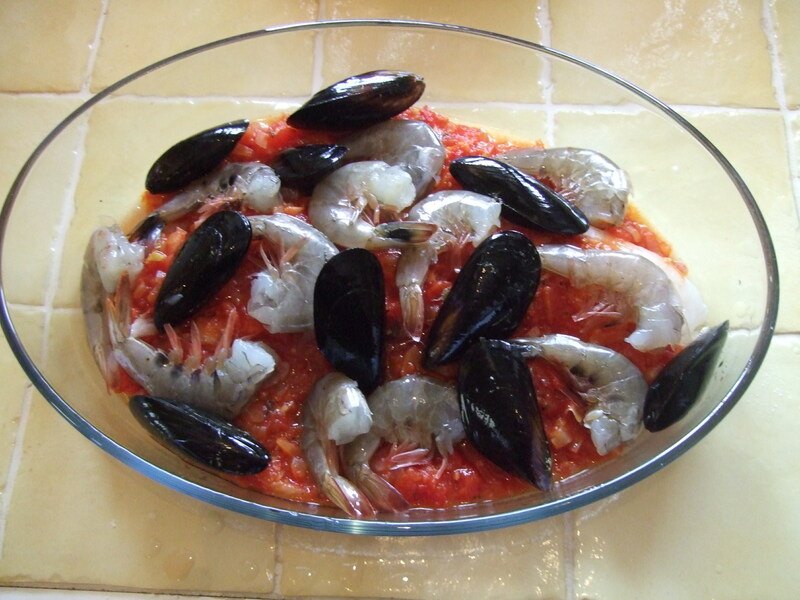 Cod, shrimp and mussels with sauce, ready for the oven. 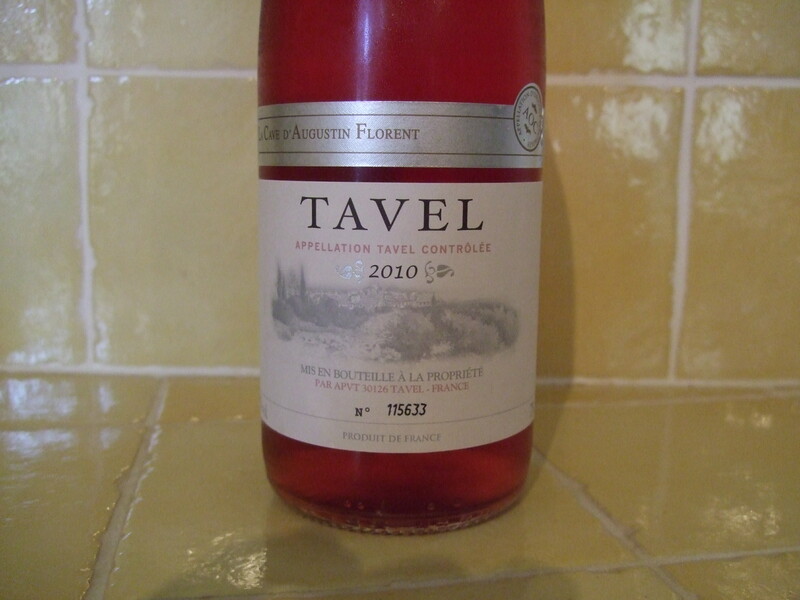 I've never been disappointed with a Tavel rosé. Just out of the oven, and ready to be served up. Bright colours, and amazingly bright flavours. The verdict? This is a definite hit — easy to make, fun to eat, and good to look at. I used my fingers to shell the shrimp, so it was a bit of a mess; but that’s what napkins are for. Next time I think I’ll try a splash of Pernod in the sauce, and I’ll split the shells of the shrimp along the back, to make them easier to peel off. But on the whole, this is a winner. 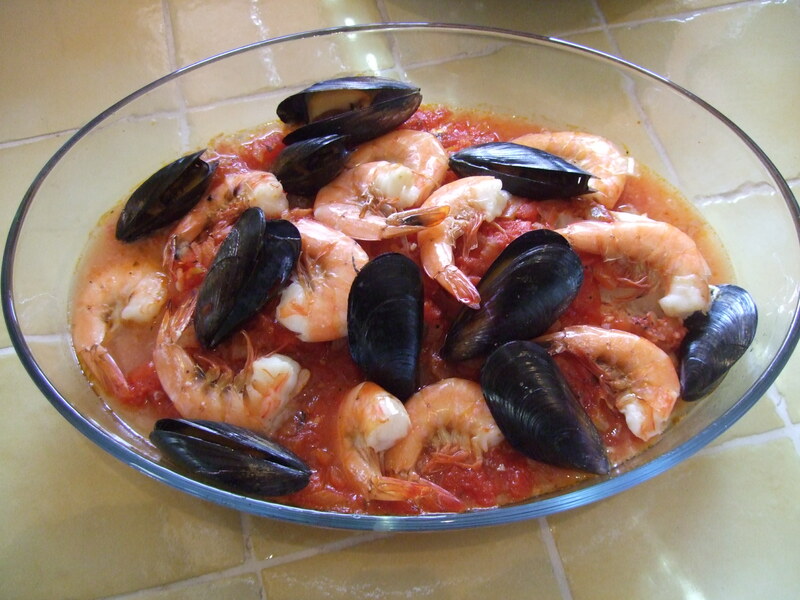 This entry was posted in French food, Life in southwest France and tagged baked fish, cooking at home, cooking in France, mussels, shrimp, tomato sauce and fish. Bookmark the permalink.